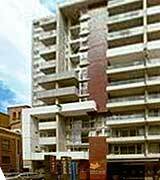 Here at M-Power Accommodation, we have selected a huge range of holiday apartments to suit almost anyone. So whether you’re travelling with your friends or family or whether you are planning a romantic getaway with a special someone, we’ve carved out a slice of Melbourne that’s perfect for you. These studio, one and two-bedroom apartments provide all the comforts, privacy and space of home without breaking the bank, helping to make your dollar go further. Typically they feature fully equipped kitchens, private laundries, separate living, dining and sleeping areas, internet connections and movies or cable channels, while the properties themselves can also offer on-site restaurants and bars, room service, daily or weekly maid service, tour desks, parking as well fitness centres, saunas and pools. Located in and around Melbourne’s thriving and cultural city centre, these apartment hotels and serviced apartments provide a perfect base from which to explore the city, the diverse, alternative and fashionable suburbs and their surrounds. Melbourne is, of course, an exciting and world-class holiday destination that oozes with incredible attractions and exciting icons for the cultural, curious or sporting interests of any traveller and for any budget. Holidaying in Melbourne will allow you to experience characteristically Australian events such as the Aussie Rules (Australian Rules Football) as well as the more internationally known excitement of One Day and Test Cricket, the Australian Open Tennis, The Melbourne Formula One Australian Grand Prix and more. The Riverside Apartments Melbourne occupy the top four floors of a modern 17 story building which feature panoramic views of the Melbourne city skyline, Yarra River and Port Phillip Bay. The apartments are located at the entertainment end of Melbourne CBD making it only a stroll away from Crown Casino, the Melbourne Exhibition & Convention Centres, Southbank's bars and restaurants and the Eureka Sky Deck. 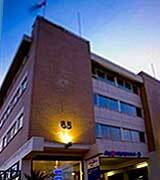 The 4 star, Metro Apartments on Bank Place is a boutique hotel renowned for its intimate and personal service. 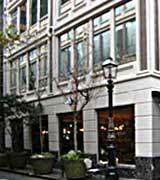 The hotel lies in the heart of Melbourne's CBD just a short walk to Collins Street financial district, the eateries and entertainment at Southbank Promenade and Bourke Street Mall's shopping precinct. Trams and public transport are close by making journeys to the MCG and Etihad Stadium quick and easy. 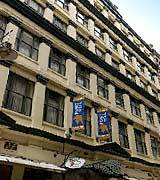 Flinders Lane Apartment Hotel, in the heart of Melbourne CBD, is surrounded by the best of Melbourne's restaurants, cafes, boutique shops, department stores and funky laneways. These service apartments are spacious, quality apartments, well-appointed with all modern conveniences and designed and decorated with a distinctive edgy style. Easystay have 5 serviced apartment properties in St Kilda, all of which are situated close to each other and close to St Kilda's attractions. St Kilda is alive with people, great food, shopping and entertainment venues. Fitzroy Street, for example, is renowned for it's trendy cafes, cool bars and cosmopolitan restaurants where tables spill onto the streets and where the alternative and working class crowd mix with families and yuppies. Then there's Luna Park, St Kilda Beach and St Kilda's music venues and nightlife. 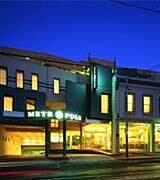 Metropole Hotel Apartments lies in Bohemian cafe and arts precinct of Brunswick Street just outside Melbourne's CBD. The rooms, apartments and suites are designed around an open courtyard and swimming pool - an oasis on the fringe bustling Melbourne city centre. Designed to reflect its location in the centre of Chinatown, this contemporary Melbourne apartment hotel incorporates Feng Shui in its design providing an oasis of peace in one of Melbourne's most frenetic precincts. 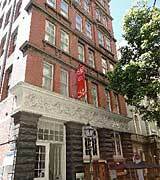 From here, guests can experience some of Melbourne's best culture and entertainment. 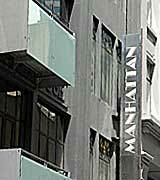 Punthill's Manhattan Apartment Hotel is a 4.5 star, serviced apartment property located in the heart of Melbourne's city centre. This unique, warehouse-style apartment complex sits at the stylish Paris end of Flinders Lane and offers everything at your front door. Collins street, Treasury Gardens and the MCG, Tennis Centre and AAMI stadium are all easily accessible while Melbourne's cosmopolitan coffee shops, world-class restaurants, department stores and boutique shops are just a walk away.